News recap: “Guatemalan women healing towards justice” tour kicks off this weekend at the border; Alliance for Prosperity means more of the same U.S. foreign policy towards Central America; Xamán massacre will be prosecuted in Inter-American Court; The home of human rights defender Angelica Choc attacked amidst advances in criminal trial. This and more in this month’s Solidarity Update. Our 2016 tour kicks off this weekend at the SOAW Convergence in Nogales, Arizona/Sonora! Deadline approaching for accompaniment applications! Celebrate our 35th anniversary by becoming a NISGUA sustainer! Join us at the border this weekend for the School of the Americas Watch Convergence and follow us on tour until October 24! Social justice organizations and communities from across the U.S. will converge this weekend on the border in Nogales, Arizona/Sonora as part of SOA Watch’s U.S./Mexico Border Convergence, to demand an end to U.S. militarism within its borders and abroad. The weekend of art, community, and action will be held in lieu of the annual vigil historically held at the gates of the School of the Americas in Fort Benning, Georgia. NISGUA will be present on the border to kick off our fall tour, “Guatemalan Women Healing Toward Justice.” Maudí Tzay, community psychologist with ECAP, will speak on the historic case of Sepur Zarco and the connections between sexual violence and militarism. Visit our blog for an extensive interview with Maudí about the case and the importance of healing justice. 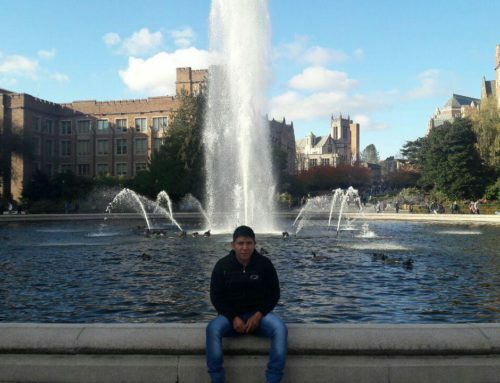 As shared by SOAW, “People from Latin America continue to be forced to flee from U.S. trained repressive security forces, only to be confronted with a militarized border, racist immigration laws, and xenophobic rhetoric in this election cycle. Black and Brown bodies in the U.S. continue to be targeted and systematically imprisoned and killed in the same way…We need to build broad-based grassroots power across borders, and push back against neoliberal politics of privatization of the commons, the militarization of our communities, and the upholding of profit interests over life, that permeate today’s political discourse. Stand on the side of mutual aid and solidarity, join us from October 7-10, 2016 in Nogales, Arizona/Sonora to build power for a culture shift." As communities converge at the border this weekend, the U.S. government pushes forward the Alliance for Prosperity – a multi-year plan that will pump hundreds of millions of dollars into Central America, allegedly to stem the flow of migration northwards by addressing push factors. Yet what the plan fails to mention is the U.S. government’s long legacy of pushing people northward, through military intervention in Central America, propping up dictators who have carried out massive human rights violations, and the ongoing promotion of a neoliberal economic agenda that serves the interests of transnational resource extraction companies over the rights of communities to land, water, and self-determination. “The Alliance for Prosperity in the Northern Triangle is framed as an anti-immigration plan that seeks to curb immigration to the United States through the economic growth and increased competitiveness of Honduras, El Salvador and Guatemala," explains Fernando Solis, editor and political writer with El Observador. “But the United States isn’t just supporting governments through security policies and attacks against corruption, but is mobilizing to guarantee security for its own megadevelopment investments.” For a longer interview with Fernando, visit our blog. For a deeper look into the connections between U.S. militarism abroad, foreign policy, and migration, read our latest report, “No to militarization of communities and borders. Yes to community self-determination,” available in both Spanish and English. 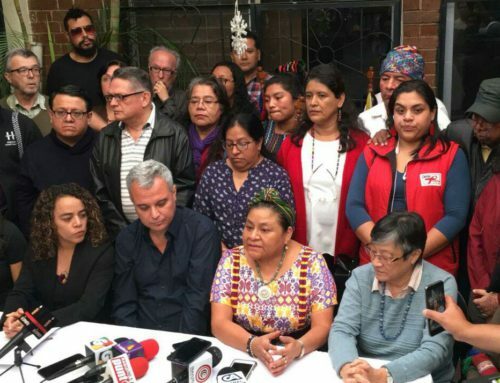 Yesterday, the family of Marco Antonio Molina Theissen led a prayer to mark 35 years since his forced disappearance and to honor the more than 5,000 children forcibly disappeared by the Guatemalan military during the internal armed conflict. In a letter written on this anniversary last year, his sister Lucrecia writes: “On these days, like every year, I relive what happened, I am outraged, and I renew my reason for being: if I don’t find him, if I can’t return him to the life from which he was taken, if I cannot hug him again and if we cannot take care of him together as a family, the least I ask with all of the strength of my soul is that justice be done and that they return his body so that we can bury him with dignity.” For the full statement in Spanish, click here. 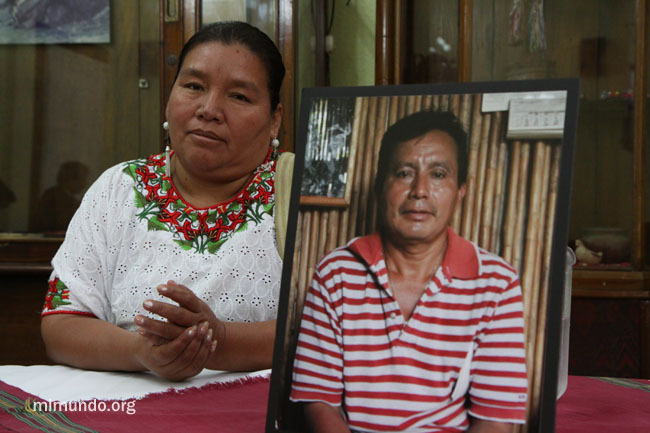 Several high-ranking military officials, including former Army Chief of Staff Manuel Benedicto Lucas García, are being charged with the forced disappearance of Marco Antonio and face other charges of crimes against humanity. 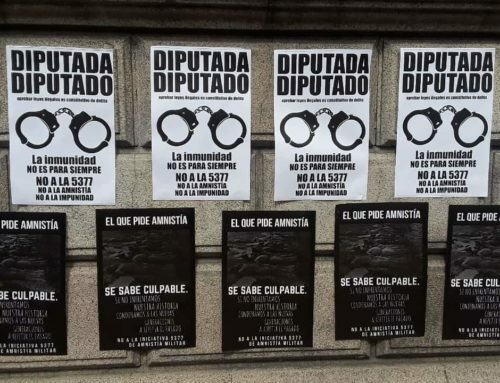 Follow #CasoMolinaTheissen on Twitter for live coverage of the trial. 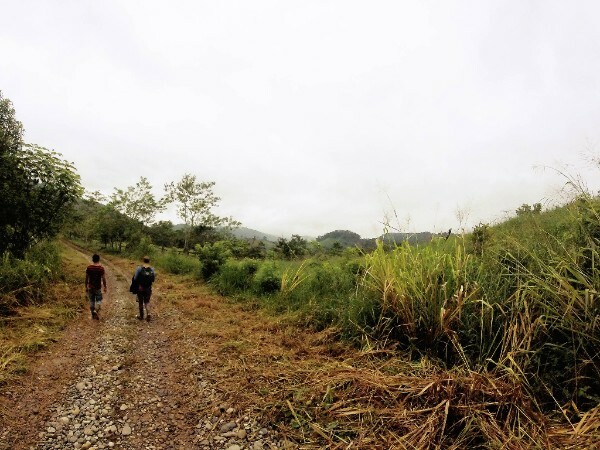 The Inter-American Commission of Human Rights has sent the Xamán massacre case to the Inter-American Court, citing failure on the part of the Guatemalan government to sufficiently address the Commission’s recommendations. In 1995, the Guatemalan military opened fire on the returned refugee community Aurora 6 de Octubre (Finca Xamán, Alta Verapaz), killing 11 people and injuring almost 30 others. The massacre took place as the community was preparing celebrations for the one-year anniversary of their return from refugee camps in Mexico after fleeing state violence in the 1980s. 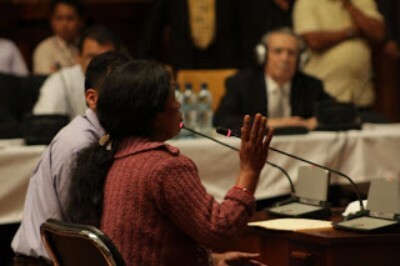 Carried out as negotiations were underway to sign the peace accords that would end the 36-year internal armed conflict, the massacre demonstrated the Guatemalan military’s unwillingness to respect the rights of recently returned refugees and called into question the possibility of a military transition into peacetime. NISGUA's accompaniment predecessors provided international observers to Xamán during the return and immediate permanent presence in the wake of the massacre. 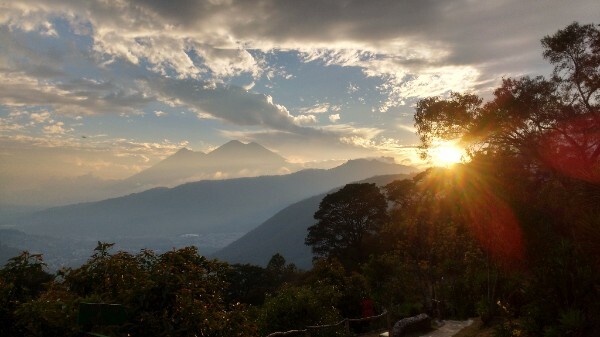 NISGUA, through the ACOGUATE project, maintained a consistent presence until 2006, with international observation during key legal moments in years following as the survivors continued to push their case through the Guatemalan justice system. We continue to stand with the people of Xamán as they take this important step forward after too many years of waiting for justice in Guatemalan courts. Human rights defender Angelica Choc sits besides a photo of her husband and community leader Adolfo Ich Chaman who was murdered in 20009. Over 60 national and international organizations and over 650 individuals have signed a letter of solidarity with Angelica Choc after bullets were shot at her home on September 16 while she and her children were sleeping. For seven years, she has been seeking justice for the murder of her husband and community leader Adolfo Ich Chaman; the closed-door criminal trial of Mynor Padilla, former head of security for HudBay Minerals’ Fenix mine in El Estor and who witnesses say killed Adolfo, continues and a verdict is expected soon. Angelica is one of the many women around the world defending their lands against transnational resource extraction projects. The letter also denounces the recent attack against Peruvian activist Maxima Acuña de Chaupe, ongoing impunity in the investigation into Berta Caceres’ murder in Honduras, and attacks against other land defenders around the world. Visit our website for the full statement in English and Spanish. 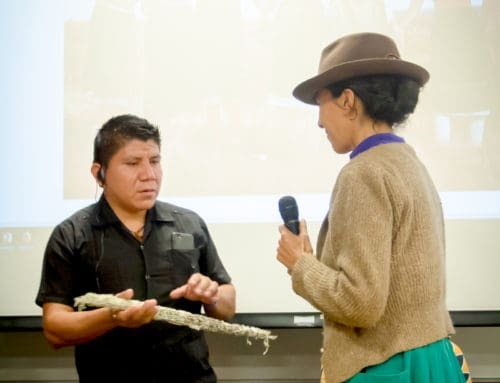 From August 12 - 13, representatives from Los Copones, Ixcán, joined with the Q’eqchi' counsel of ancestral authorities to celebrate the third anniversary of formal state recognition as indigenous peoples. Given the widespread racism and discrimination faced by indigenous peoples, official state recognition of indigenous communities represents an important achievement. For the Q’eqchi’ of Los Copones, the recognition could provide legal backing for obtaining titles to their ancestral lands, which could have important implications, preventing companies from implementing hydroelectric dams and other megadevelopment projects without their free, prior, and informed consent. Visit our blog for a translated statement from the Q’eqchi’ authorities in celebration of the day. Read: The Power of Presence. Reflections from more than 20 years providing international accompaniment to threatened human rights defenders in Guatemala. 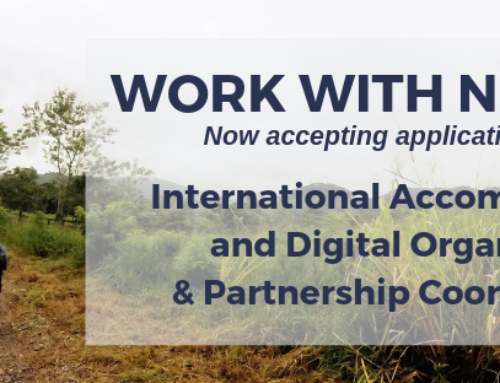 Download your application to become an accompanier here! 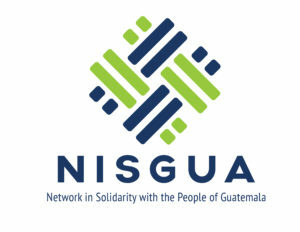 NISGUA is one of the many organizations worldwide using international accompaniment as a strategy in the global struggle for the protection of human rights. Individuals and organizations under threat request an international presence as a security measure to dissuade attacks and create a safer space for them to carry out their human rights work. There are only eight days left to get applications in to become a 2017 accompanier! Accepted applicants will be invited to our 7-day, intensive training from January 7-13, 2017 in Berkeley, California, with start dates in Guatemala available throughout 2017. Final application deadline is October 15, 2016! Visit our website for more information. NISGUA has joined the Stop Urban Shield coalition to demand an end to the SWAT team training and weapons expo that brings together local, regional, and international police and military units to collaborate on new forms of surveillance, state repression, and state violence. Read this important report on Urban Shield. NISGUA's Oakland office and staff are guests on Ohlone land in California. On September 20, we responded to call to stand with the local Ohlone community in saying no to a proposed parking lot on Mission Peak, an important cultural site for the Ohlone people. NISGUA filed a letter and spoke out at the public hearing, urging the East Bay Regional Parks District (EBRPD) to choose protection of Ohlone burial and cultural sites over desecration, upholding the rights to free, prior and informed consent of indigenous peoples. Sadly, the EBRPD Board unanimously voted against the Ohlone people and community opposition. NISGUA continues to stand with all those who defend land and life in the U.S. and globally. 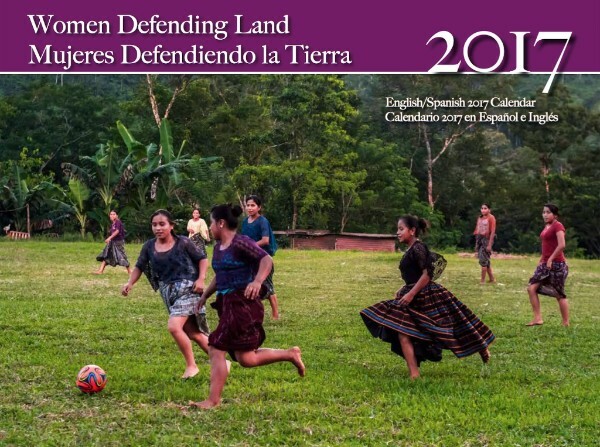 Our 2017 calendars are now on sale and feature women in defense of land! At the forefront of local and international movements, courageous women protect natural resources, build sustainable communities, and promote environmental and social justice. Visit our website to order your calendar today! Our drawing was a success! Our sincere appreciation to everyone who participated and our congratulations to the more than 30 prizewinners - including our grand prizewinner of a roundtrip ticket to Guatemala, John Johns! As part of the Border Convergence this weekend, School of the Americas Watch will host a People of Color (POC) space that centers individuals and communities most directly impacted by militarism and state violence in the U.S., Latin America, and around the world. The space, called Frente X, will be held in Tucson so that undocumented participants will not need to cross a Border Patrol checkpoint to participate in activities held in Nogales. NISGUA is excited for what this space could have in store for our future work in solidarity with communities in Guatemala and the U.S. struggling for justice, accountability, and self-determination. Read more about the Frente X/POC Space here. This year, NISGUA turns 35! Help us celebrate by becoming a sustaining donor. Looking back over 35 years is a chance to acknowledge all of the work that came before us, all of the work ahead of us, and to recommit to struggle as a lifelong pursuit in which all of us are needed. Will you help us celebrate by becoming a monthly sustaining donor today?